At long last, we are so excited to announce our first ever Teach Them Diligently top 15 homeschool blogs list as chosen by Teach Them Diligently families and fans. 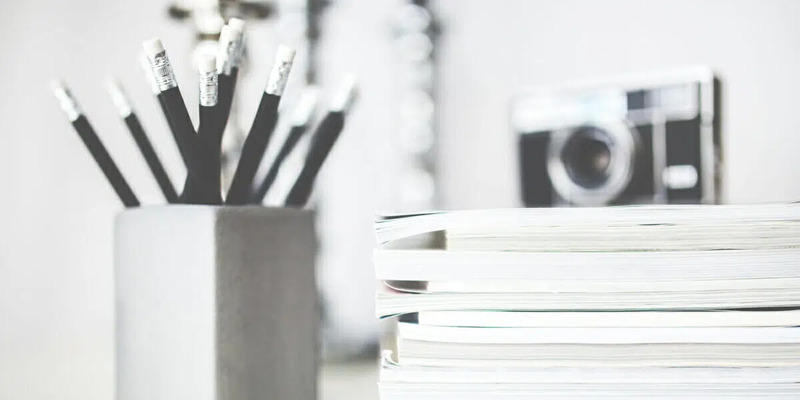 Many of these bloggers will be at our spring homeschool events, which will provide you a great opportunity to meet them and hear them share their heart in their sessions. This year your family can join us in Nashville, TN; Atlanta, GA; Rogers, AR; Mobile, AL; Myrtle Beach, SC; and Columbus, OH. We would love to see you there! Special Gift for Teach Them Diligently Families: Become an expert with these free insect note booking pages! 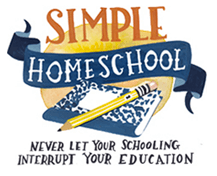 Confessions of a Homeschooler is a homeschooling and parenting website authored by Erica Arndt. She offers tons of free printables, educational resources, ideas, and homeschool curriculum. She also shares crafting, DIY projects, recipes, home management tips and more! Feel free to drop by her site for some encouragement on your homeschooling journey and some practical tips to make your days run smoother! Subscribe to her newsletter when you visit her site to receive Her Top 10 Tips for Getting Started Homeschooling. If you are looking for homeschool encouragement and advice, then be sure to check out Kristi Clover over at Raising Clovers. The heart of Raising Clovers is to provide encouragement for Christian families and inspiration to find “simple solutions for a more joy-filled life.” From Kristi’s uplifting podcast, Simply Joyful, to her #HomeschoolHacks on Facebook Live every Friday at noon (PST), you’ll see her passion for helping families get organized so they can joyfully live out the life God has for them. Kristi is best known for her organizational tips. She is the creator of the Ultimate Homeschool Organization Course and is currently writing a book on home organization. Kristi also has a brand new book coming out in a few weeks called Homeschool Basics, co-authored with Tricia Goyer. Kristi offers one of her books, Sanity Savers for Moms, away for free. You can get your free digital copy CLICKING HERE. And, make sure you join Kristi at Teach Them Diligently in 2018. 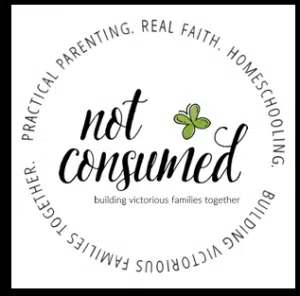 Not Consumed is a community devoted to helping families live #NotConsumed in life’s big and little circumstances through practical tips and resources for homeschooling, family life, and faith. One of the favorite speakers at Teach Them Diligently each year, Kim will be joining us for all 6 events in 2018. Make your plans to join her there! Not Before 7 is where Mary Wilson, a self-proclaimed homeschool night owl and iced tea addict, details her adventures in life and homeschooling. You can find her videos, tips, and thoughts about homeschooling. She loves the adventures that homeschooling brings from the everyday moments to the big ticket traveling fun! It’s hard to connect with our kids in today’s busy, noisy world, but reading aloud gives us a chance to be fully present. 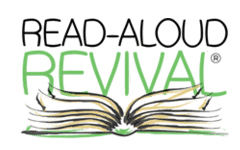 At the Read-Aloud Revival we have a program that equips and inspires parents to make meaningful and lasting connections with their kids through stories. On 1+1+1=1, you will find many free printables for use in your classroom or homeschool, as well as much, much more. Subscribe to Carisa’s newsletter to be sent freebies, updates, and more. Also, you can access her workshops from Teach Them Diligently events in our membership site, Teach Them Diligently 365. 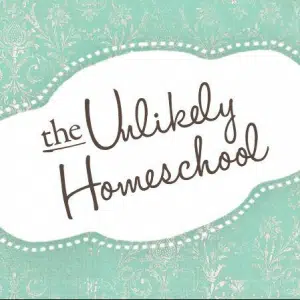 Weird Unsocialized Homeschoolers is a blog for homeschool moms. It is full of bible studies, Encouragement, homeschool how to, and lots of other activities for your family. Heidi St John has delighted tens of thousands of readers through her blog, her Facebook page, and her books. Her transparent style and her rich sense of humor combine to draw her readers into what feels like a very personal conversation over a cup of coffee. Heidi’s ability to bypass our prejudices and preconceptions allows her to speak directly to the heart of every reader as she offers wisdom, inspiration, and grace to those who are all-too-often feeling overwhelmed by all that’s on their plate. Click here for a free downloadable audio workshop from Heidi just for Teach Them Diligently families! Everyone bemoans the fact that Teach Them Diligently events only last a weekend. With Teach Them Diligently 365, you can get a sense of Teach Them Diligently 365 days a year. Offering access to all the audio sessions from Teach Them Diligently events 2013-2016, exclusive weekly video content from Leslie Nunnery and Teach Them Diligently speakers, monthly virtual video meetups to allow for fellowship and fun among the members, and private members-only events at Teach Them Diligently events, a membership in Teach Them Diligently 365 is a great way to stay focused and encouraged year-round as you pursue God’s plan for you. Sign up for a FREE webinar about how to create the perfect homeschool for your family, and click here to get a free homeschool styles video series and chapter from How to Homeschool with Confidence. Join Teach Them Diligently 365 today and use discount code 365MONTHLY5 to save 50% off the regular monthly membership rate. Amy Roberts is “Teaching moms everywhere to simplify the big things so they can enjoy the little things!” Click here for access to Amy’s session on the Perfect Homeschool Schedule as presented at Teach Them Diligently. I’m Tauna! This is me: Jesus follower, wife, mom, homemaker, homeschooler, and writer at ProverbialHomemaker.com. 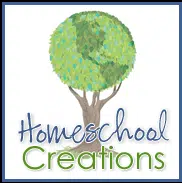 At Homeschool Creations, you’ll find free educational printables, helpful tips, and resources for families, encouragement for your homeschool journey, and a homeschool planner to help you get organized. Join Jolanthe at Teach Them Diligently 2018. Hi, I’m Jamerrill! 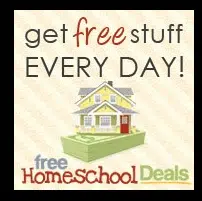 I help families afford the homeschool life by providing the BEST homeschool freebies, deals, resources, & encouragement since 2012! 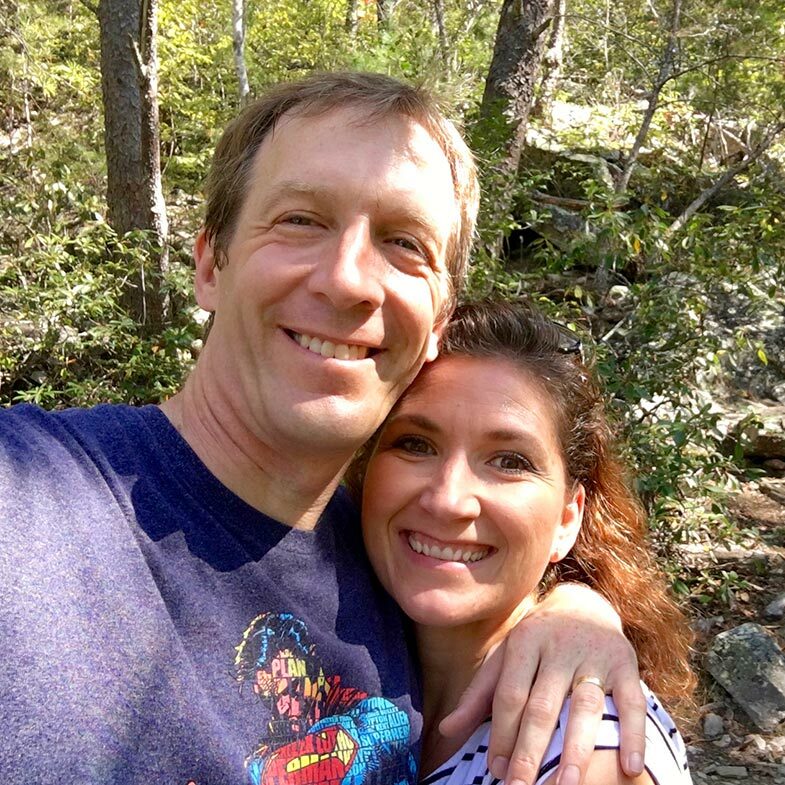 Laura Prater is a long time military spouse and her and her husband do a lot of Military outreach through their second website- www.awefilledveteranswife.com. Clay is diagnosed with PTSD and they have been very real and candid in sharing their struggles, triumphs, and hope only found in the Lord. They are busy also homeschooling their three boys who range in age from teen down to 8. 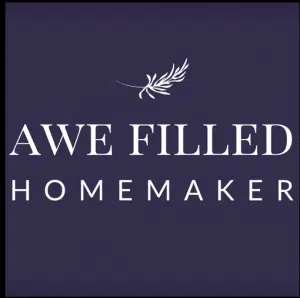 Here at Awe Filled Homemaker, you will find encouragement for the homeschool mom, recipes, Bible Studies, and plenty of printables to encourage you in your homeschool and walk with the Lord. Teach Them Diligently families can get 1 item FREE in the Awe-Filled store! Click here- https://awefilledhomemaker.com/shop/ and use discount code BlogTTD2017 (ends December 1st.) Make sure you look for Laura at Teach Them Diligently 2018! Simply Living for Him exists to encourage living more simply as we pursue God above all else. Knowing our lives are a reflection of our hearts, Simply Living for Him promotes seeking Him more and the world less, in combination with simplifying life in practical ways. Join me on my journey to clear the clutter as I am simply living…for Him! I am a homeschooling mom sharing about my faith, family, hobby-farm life, and Jesus. I am also an author, speaker, and podcaster that loves sharing my journey with others- and I am all about keeping it real and authentic! Join me as I seek less of this world, and more of Jesus! Click here to get a free printable of 31 days of praying for your homeschool. Make your plans to join Karen at Teach Them Diligently 2018! Faith-based encouragement for homeschool moms. Although so blessed to be able to “train up my children” every day…to be the first one to witness the passing of monumental spiritual, physical, and educational milestones…there was a time, that the very idea of homeschooling seemed very unlikely… Make your plans to join Jamie at Teach Them Diligently 2018!